. . .Everyone applauded, even Ruthven, who, still pale and feverish from riotous living, promised not to be behindhand. The only point changed, on Morton’s suggestion, was that the murder should take place next day; for, in the opinion of all, not less than a day’s interval was needed to collect the minor conspirators, who numbered not less than five hundred. The next day, which was Saturday, March 9th, 1566, Mary Stuart, who had inherited from her father, James V, a dislike of ceremony and the need of liberty, had invited to supper with her six persons, Rizzio among the number. Darnley, informed of this in the morning, immediately gave notice of it to the conspirators, telling them that he himself would let them into the palace between six and seven o’clock in the evening. The conspirators replied that they would be in readiness. Julie Christe reads Dumas! What more do you want? 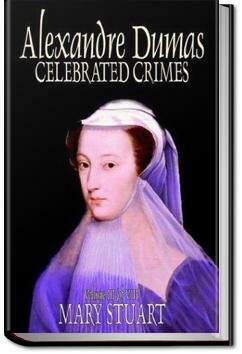 Seriously though, this is a pretty good, if historically suspect, story about Mary Queen of Scots. Mary Stuart Queen of Scots was held captive for 19 years before being sentenced to the block by her cousin Elizabeth the First. The former's Grandma, Margaret Tudor, was the elder sister of the latter's dad, Henry the VIII. An interesting quick read. It is the first historical based book of the period that has made reference to "Greenwich Castle" which was demolished some years prior to where the Royal Observatory now stands! This book is where I caught the love of the English courts and monarch life styles in the 1800's, Dumas is a fantastic writer, love!